Do you need a Leak Detection Company Moorpark, CA? It has been estimated that the average home loses anywhere from around 150 up to 1,500 gallons of water a month due to water leaks. Some leaks can be easily detected such as a leaky hose bib, others are much harder to be certain of, such as a slab leak. There are some self tests that can be done to determine if you have a leak. Once you have confirmed the presence of a leak, it is very important to get a leak detection company out right away. Leaks can cause a plethora of issues including damaged flooring, walls and baseboard, mold, and even flooding. Getting a leak detection company out right away will ensure minimal damage to your property. Pegasus Leak Detection is the only local company to offer 24/7 availability 365 days a year! This is just one of the many ways we better serve our customers. We will guide you through the process of dealing with a leak including giving you multiple repair options. We not only located precisely where the leak is but we have the ability and knowledge to let you know where the pipe runs. This way you can either decide to repair the exact spot where the leak is or replace the entire run of pipe. We will also, if needed, assist you on working with insurance. Insurance companies sometimes cover claims, and sometimes don’t. Fortunately we here at Pegasus Leak Detection speak the insurance language and are able to better assist you to increase the likelihood of coverage. With multiple companies to choose from, it can be difficult deciding on the right one. At a time when you already have one unexpected issue to deal with, there is no need to deal with a service company who isn’t the very best. Pegasus Leak Detection offers the very best service and practices in the leak detection industry. 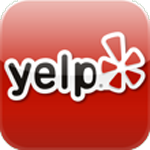 Take a moment to visit our page on “Why Choose Us” to see a full list of options at why we are the best choice for you. 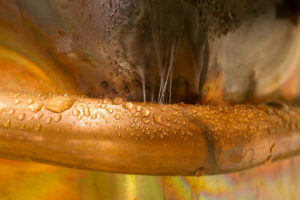 Not everyone has the training and experience of a Pegasus Leak Detection technician, thus might not know what to look for to spot a leak before it becomes a massive issue; but everyone can learn to spot a leak by reviewing the list on our “Signs of a Leak” page. Do you need a Leak Detection Company Moorpark, CA?